How to Get Funding for a Business Startup. If you're thinking of starting your own business, chances are you're going to need some money. Here are some tips to help you get funding for a business startup! Have a plan. Before you approach anyone for money, create a solid business plan. There are many books that detail how to write your own business plan, or you may want to hire an experienced writer. People want to see that your idea is not just a passing daydream--that needs and risks associated with it have been thought out! Decide how much money you will need. This depends on the type of business you plan to run, and you may also need time to run your business before you turn a profit. Figure out how much of your startup funds can contribute to your daily living expenses until you are able to earn a steady income. Your monthly living expenses should be combined with variable expenses like food and clothing for a period of six months and presented in your business plan. Determine the type of funding. 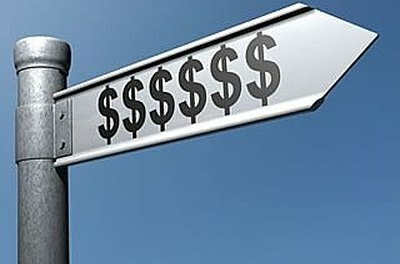 Once you know how much money you will need to run your business you need to choose the best way to get that money. Many entrepreneurs with excellent credit should begin with a trip to their bank to meet with a loan officer. Commercial Financing. These loans assist with the financial needs of a new business, including working capital, inventory purchases, account receivables and payroll. Commercial finance loans usually require some assets to stand as collateral. Real Estate Financing. These loans are provided to assist with the new construction or the purchase of a building for your book. Equipment Leasing. This financing assists with the purchase of equipment needed for the business. Small Business Association Loans. Though the SBA won't give you a loan, they do help guarantee a loan using funds provided by the U.S. government to provide working capital for small businesses. There are a variety of programs available, but you still need to get a loan from another funding source. Credit Cards. Many businesses are built on credit, but you have to tread cautiously here and be careful not to ruin your credit by overspending. Find an outside investor. From a "real" investor to family and friends, explore other routes of financing to help get your business off the ground. Research the market for your business and determine if it will do strong business in your region. Don't build your business solely on your credit card. Kristen Fischer is a copywriter and author living in New Jersey. Her books Creatively Self-Employed: How Writers and Artists Deal with Career Ups and Downs and Ramen Noodles Rent and Resumes: An After-College Guide to Life, are currently available. For more information, visit http://www.kristenfischer.com, http://www.creativelyselfemployed.com or http://www.ramenrentresumes.com. Fischer, Kristen. "How to Get Funding for a Business Startup." , https://careertrend.com/how-2323268-funding-business-startup.html. 05 July 2017.